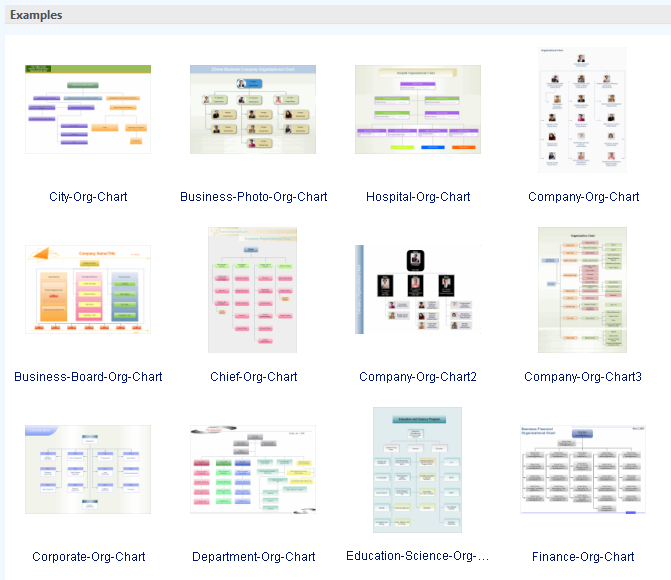 Create professional organizational chart from lots of custom organization chart examples and templates. With Edraw Organizational Chart, you can create clear and professional custom organizational charts even without prior experience. 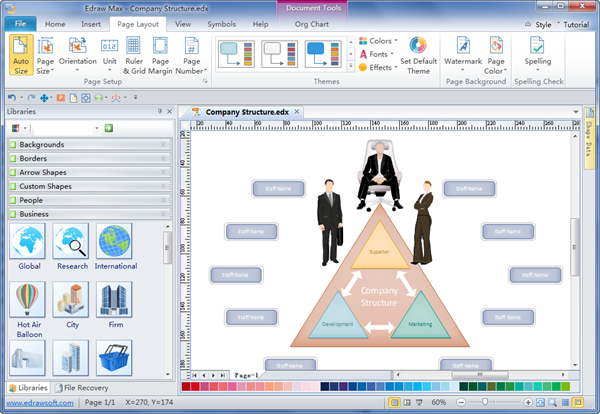 It is easy to create professional organizational chart from lots of custom organization chart examples and templates. You only need to modify the color scheme, staff information or replace photo. 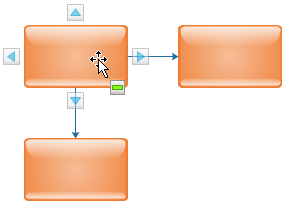 Among the above listed shapes, some are attached with floating action button. For example, the Multi-style shape is dynamic shape with floating button which supports instant change of shape style. See the illustration. The highlight shapes can be added and connected automatically. 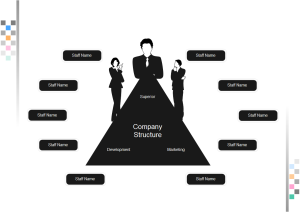 As you can see, by studying the sample organizational charts below, these types of charts are the ideal way to demonstrate the inner structure and hierarchy of a business or any other type of organization. The following organizational chart template shows some custom org chart symbols. Just drag these symbols to canvas and start a new organizational chart. Thanks to Edraw's advanced tools, a custom org charts can be produced in 4 simple steps. 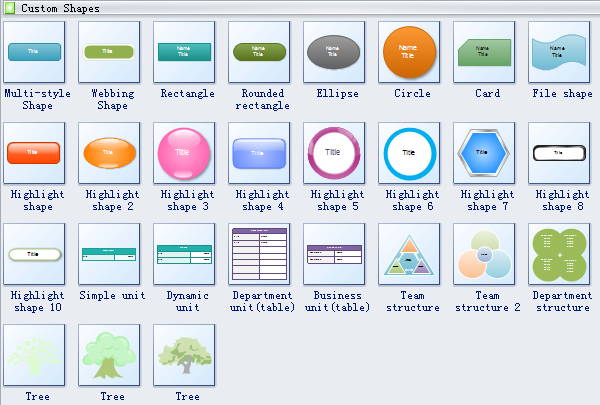 Pick, drag and drop shapes from the predefined library. 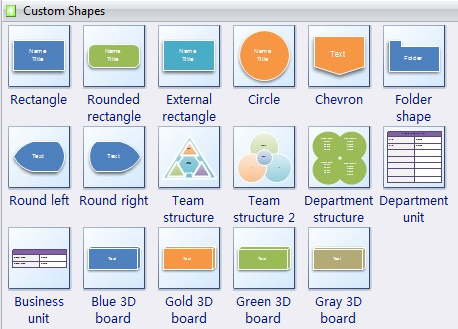 Connect shapes and insert contents. Apply a suitable theme, background as you wish. Save, export or share the custom org chart. A custom org chart template, creatively designed and well organized, is readily available to help you structure your workforce.